What Parts of the Body Help Us Digest Our Food? Digestion is the process of breaking food down into nutrients that our bodies can use. You might think this all happens in the stomach, but it involves teamwork between many different organs. Brain – The gut-brain connection is strong, and that communication goes both ways. Our brain starts releasing saliva, pancreatic enzymes, and stomach acid as soon as we start thinking about food, even before we take our first bite. This is why we'll often say a beautiful food photo (or the smell of bacon) is “mouthwatering.” Digestion actually starts with the brain. Saliva – Produced in the mouth, saliva is 98% water which helps moisten food to make it easier to swallow. But it's so much more than that! We actually can't taste food without saliva. The moisture is necessary to release the chemicals that interact with the taste buds on our tongue. Saliva also releases the digestive enzyme amylase, which helps us break down starch. Here's an interesting fact: depending on genetics some people produce more of this enzyme than others, which is one of the reasons starch tolerance varies. Stomach – After you finish chewing and swallowing your food, it travels through your esophagus into your stomach. There it stays for about 1-2 hours, and a major step in digestion happens here. Mechanically, the food is bathed and churned in gastric juices: a combination of hydrochloric acid (HCL) and digestive enzymes, breaking protein down into amino acids, and fats down into fatty acids. Adequate stomach acid is essential to this process. While TV commercials make people think they have too much stomach acid, most people have too little. In addition, the stomach does two other important tasks: It prepares vitamin B12 for absorption by the small intestine (a vitamin essential to autoimmune health). And it kills off many types of pathogenic bacteria that are naturally found in foods, making it an important safety stop in the digestive process. Pancreas – Once the stomach releases the chyme (partially digested food) into the small intestine, the pancreas jumps in to help. It releases bicarbonate, which neutralizes the acid that was needed in the stomach (but could damage the small intestine). It also releases a wide variety of digestive enzymes, to complete the breakdown of protein, fat and carbohydrate. Liver and Gallbladder – Bile makes fat digestion a lot easier, by breaking large clumps of fat down into smaller pieces. This provides more surface area for the enzymes to do their work. 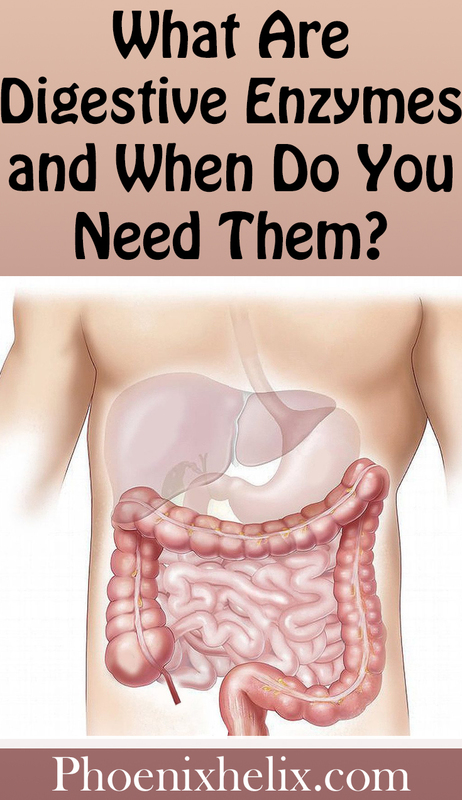 The liver makes the bile, and the gallbladder stores and releases it into the small intestine. They're a powerful team. If you've had your gallbladder removed, fat digestion becomes more difficult. 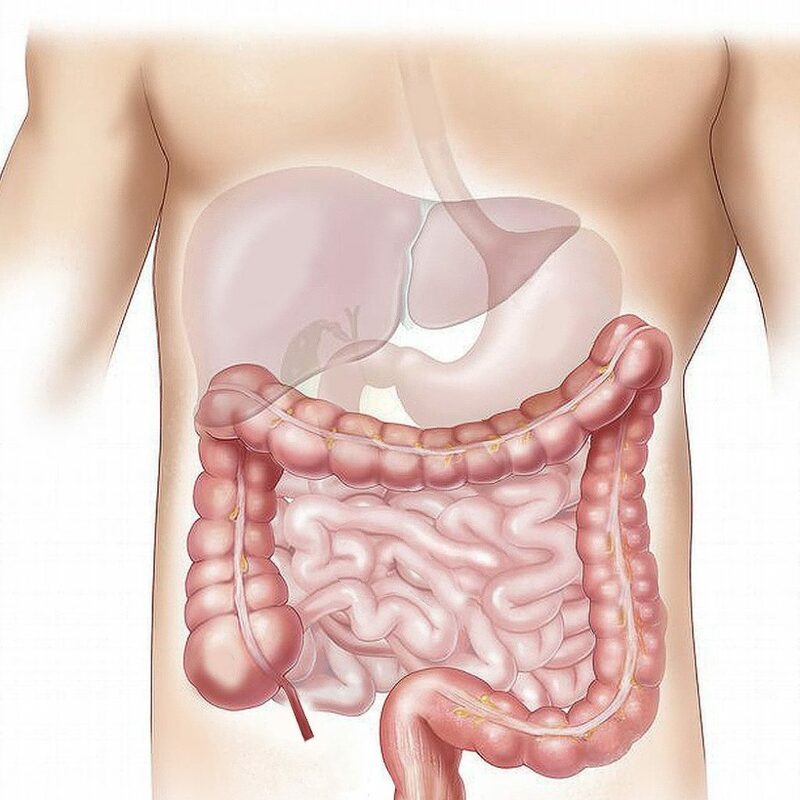 Small Intestine – This is where nutrient absorption happens. The small intestine takes all of the liquids mentioned above and uses muscle contractions to circulate it throughout its 10-foot-long structure. Here's where things get really interesting. There are 130 billion microvilli per square inch of the mucosal lining of the small intestine. These are microscopic wrinkles and finger-like projections that increase the surface area even more, to maximize interaction with the digested food. This helps us absorb as many nutrients as possible. How amazing is that? If you have celiac disease, these are the cells that get attacked, which is why nutrient deficiency is a common symptom. In addition, leaky gut can happen in the small intestine and interfere with the digestive process. Blood and Lymphatic Vessels – Once digestion is complete, nutrients from the small intestine are absorbed into the blood and lymph, to be circulated throughout the body. Many are redirected to the liver for further breakdown and storage. Large Intestine – Once we've absorbed all the nutrition we can, the remaining “waste” travels into the large intestine and becomes food for our microbiome. Some wonderful vitamins are produced by the beneficial bacteria that live in our large intestine, including vitamins K, B1, B2, B6, B12, and biotin. However, if we have a lot of pathogenic bacteria, inflammatory compounds are released along with excess gas, which is why a healthy microbiome is so important to autoimmune health. The large intestine is also where water is absorbed, which is vital since 60% of the adult human body is made up of water. The final step in the digestive process is elimination, releasing the stool from the body. Stool quality can be one indicator of digestive health. OK, so now we know how digestion works. What can we do to optimize it? 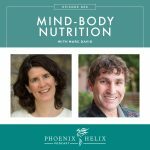 The Mind-Body Connection: As I mentioned above, digestion starts in the brain, and it's ruled by the parasympathetic branch of our nervous system, often called the “rest and digest” system. If we aren't relaxed when we eat, digestion is more difficult. Being distracted when we eat can interfere with digestion as well, because our brain is being asked to focus on other things. The truth is, very few of us focus on eating any more. We're almost always doing something else at the same time, whether that be watching TV, looking at our smartphones, working, or even driving somewhere. We're also chronically stressed and often unaware of how that actually feels in our body. A simple solution is to pause before eating, take a few slow deep breaths, and help your body shift into a more relaxed state. One study found this released even more digestive enzymes than chewing! Mindful eating is even better. Have you ever finished a meal and realized you weren't paying attention at all, surprised to see the bottom of your bowl? I have. Mindful eating is about immersing ourselves in the eating experience. Focus on your food without distraction. Open your senses to the sight, taste, texture and smell of your food. For many people, this has the biggest impact on improving digestion. Sit Up Straight and Chew Your Food: Do I sound like a scolding mother? How many of us were told this as kids? It turns out, Mom is often right! Sitting up straight uncompresses our digestive organs, allowing them to function better, and chewing our food gives digestion a good headstart. If you ever see undigested food in your stool, this is an especially important step. The suggestion is often to chew each bite 20-30 times. If that seems overwhelming, simply start by focusing on chewing each bite, and chew a little more than you usually do. Drink Water: Not only is our body dependent on water to survive, water is also necessary for digestion and elimination. Dehydration is one of the most common causes of constipation. So, keep yourself hydrated throughout the day, drinking plenty of filtered water between meals. It's fine to have some water during meals as well, but we don't want to dilute our stomach acid too much. So, I carry a water bottle with me throughout the day. Boost Stomach Acid with These Simple Tonics: We learned above that stomach acid is essential to the digestive process, and many of us don't have enough. This is especially true for people with autoimmune disease, and people who suffer from heartburn (I know that can be surprising). Thankfully, there are some foods and drinks that naturally boost stomach acid and are easy to incorporate into a meal. You can take them before, during or immediately after you eat. Do some experimenting to see what works best for you. Apple Cider Vinegar: 1 teaspoon apple cider vinegar in about 4 ounces of room temperature water. Ginger: Either chew on a piece of raw ginger before eating, or make a small cup of fresh ginger tea to enjoy after your meal. It's important to know that not everyone needs a digestive enzyme supplement. For many people the steps above are enough, especially when combined with a healing diet. However, if you're still struggling with digestive issues, a quality enzyme supplement might be helpful. Read the labels. Some supplements add things like food coloring and sugar to make them look and taste better. We obviously want to avoid those. What about fillers? Most supplements (even high-quality brands) use some kind of filler to help with dosing, delivery, and safety (protecting against moisture and mold, for example). So, they're not always a bad thing. But we don't want countless fillers, and their source matters. High-quality supplements have only one or two fillers, and they are derived from allergy-free sources. Always look for an allergy statement that guarantees what it does not contain (i.e. no gluten, dairy, soy, etc.) If this statement is missing, avoid that supplement. Cellulase, xylanase, and hemicellulase digest fiber. Invertase and sucrase digest sugar. Glucoamylase digests maltose (the sugar found in grains). Lactase digests lactose (the sugar found in dairy). Peptidase with DPPIV might help digest casein and gluten (see below). Check for potency. Whereas most other supplements list ingredients by weight (in milligrams) to indicate potency, this doesn't apply to digestive enzymes. Instead, there are a wide variety of initials next to each enzyme (such as HUT, DPPU, XU, DU, AGU, etc.) At first I was annoyed at how confusing this seemed. Why wasn't there a uniform standard of measurement like milligrams? It turns out the abbreviation indicates the test run on the enzyme to determine its potency, and different enzymes require different tests. Scientists in the field know what these mean. As a consumer, all you need to know is that higher-quality supplements include this information. Low-quality supplements don't. What about HCL? While stomach acid is essential to digestion, HCL as a supplement isn't recommended if you're taking NSAID or steroid medications, or if you have a history of ulcers. For everyone else, it's optional to experiment. 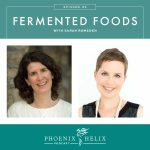 Many people work with a functional medicine practitioner to determine if they really do have low stomach acid, and how much supplementation they need. This is the safest approach. However, there is a common self-experiment shared online, and it's often the same one recommended by practitioners (where you increase HCL supplementation until you experience a burning sensation in your stomach, and then drop your dose to one below that). However, not everyone agrees with this standard protocol. Dr. Michael Ruscio, author of Healthy Gut Healthy You, says this is dangerous for two reasons: a burning sensation could indicate that damage is already happening, and a healthy stomach lining may never burn, which means you are increasing your dose unnecessarily. Instead, he recommends people experiment with a low dose, and only take it if it's helpful. The form that most practitioners recommend is Betaine HCL with Pepsin. What about bile? If you don't have a gallbladder, or have trouble digesting fats overall, it might be worth experimenting with a bile supplement. When to take them? This is where self-experimentation comes in. You can try taking digestive enzymes at every meal, or simply with your largest meal. Ideally take them right before your first bite, but if you take them within 30 minutes after a meal, they should still be helpful. If you have a negative reaction, stop immediately. If you notice a positive benefit, that's great! Keep taking them. If you notice no response, a typical trial for a new supplement is 30 days. If after that time, you still notice no improvements, you can try a different brand, or you simply may not need them. How long should you take them? Even if you benefit from supplementation, that doesn't mean you'll need to take them forever. Test going off them once in a while, and only continue if you notice a clear difference. 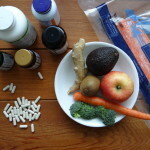 It's common to need fewer supplements as you heal and your body recovers more of its natural abilities. 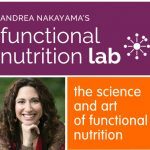 Do digestive enzymes help with food tolerance? It depends. Sometimes food intolerance stems from an inability to digest food completely. This can contribute to leaky gut, pathogenic bacteria overgrowths, and inflammatory and immune reactions to food. Some people do find that enzymes help their food tolerance expand. Others don't notice a difference in this area. It is worth experimenting! Do gluten-digesting enzymes work? While there are many gluten-digesting enzymes on the market, they haven't been verified in the scientific research. They definitely don't let people with celiac disease (or non-celiac gluten intolerance) consume large quantities of gluten safely. (Although that would be nice.) However, they might offer benefit when it comes to cross-contamination. Anecdotally, many people have noticed a difference. I personally take them any time I eat in a restaurant, as an added safety measure. I don't order gluten-containing food, but I realize that I'm not in control of the kitchen, so small particles of gluten might end up on my plate. My favorite brand is: Trienza by Houston Enzymes. It contains a diverse array of digestive enzymes for breaking down protein, fat, and carbohydrates. It also includes Peptidase with DPPIV (to protect against gluten cross-contamination). Lastly, it's allergen-free and shares detailed potency information. This is the one I take when I need extra digestive support. If you want to experiment with HCL, Thorne has a high-quality Betaine HCL supplement. If you want to experiment with bile supplementation, Biotics Research is a respected brand. There's always a disclaimer in place on this website, but when an article mentions medications or supplements, I feel it needs repeating. I am neither a doctor nor a nutritionist, so this article isn't a substitute for medical advice. I'm simply a woman trying to maximize her own health and sharing what I learn along the way. These steps may or may not help with your digestive issues. Sometimes, we do need professional help, because the root cause isn't simple. If you continue to have digestive trouble after implementing these steps, or experience an increase in symptoms during your self-experiments, please work 1:1 with a professional. You can find a list of practitioner directories here. Photo credit: Pixabay (creative commons).